A U.S. District Court Jury found a border agent not guilty of involuntary manslaughter Wednesday, leading to protest in front of the Tucson Federal Courthouse late Wednesday, Nov. 21. 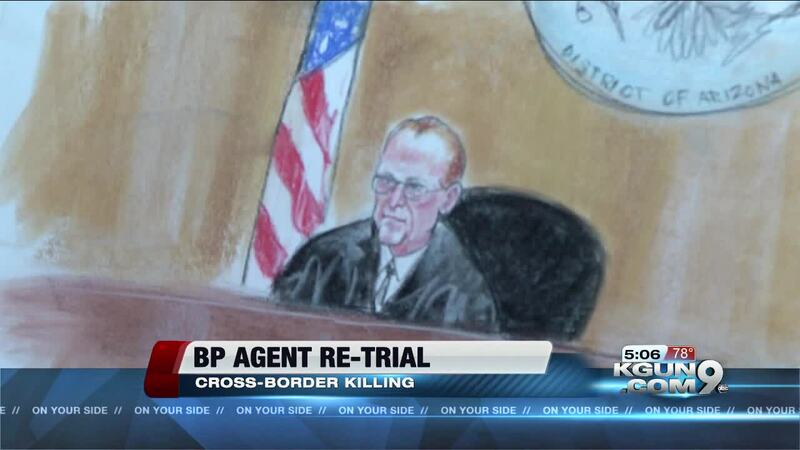 The verdict came down in the noon hour in the retrial of Border Patrol Agent Lonnie Swartz, who was accused of killing a Mexican teen in a cross-border shooting. The three-hour protest began around 4:30 p.m. and led to police shutting down the intersection at Granada Avenue and Congress Street due to traffic concerns. Per TPD, the protest was peaceful, had about a hundred participants and the department made no arrests. A U.S. District Court Jury found a border agent not guilty of involuntary manslaughter Wednesday, leading to protest in front of the Tucson Federal Courthouse late Wednesday, Nov. 21. The verdict came down in the noon hour in the retrial of Border Patrol Agent Lonnie Swartz, who was accused of killing a Mexican teen in a cross-border shooting. The three-hour protest began around 4:30 p.m. and led to police shutting down the intersection at Granada Avenue and Congress Street due to traffic concerns. Per TPD, the protest was peaceful, had about a hundred participants and the department made no arrests. 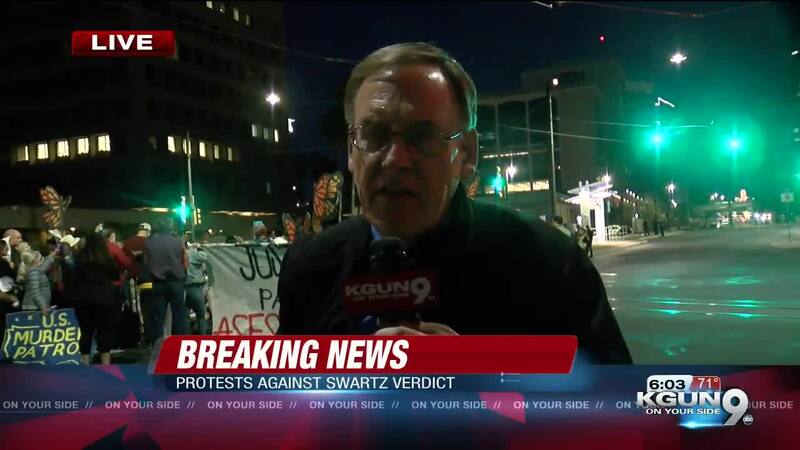 Though the protestors were marching because the jury found Swartz not guilty of involuntary manslaughter, they did not come to a verdict on another count -- voluntary manslaughter -- and a status hearing Dec. 11 will determine whether or not a hung jury is declared. Swartz was facing a retrial on voluntary or involuntary manslaughter for killing 16-year-old Jose Antonio Elena Rodriguez. Last Spring, a jury acquitted him of second-degree murder but could not decide on the manslaughter charges.